The CCC will be launching their 2019 season on Friday, February 8th, with drinks at the Lord Jim Pub, followed by weekend matches against the visiting Victoria Cricket Veterans (VCV) at the São Fernando Polo & Cricket Club on Saturday, February 9th, and Sunday, February 10th. 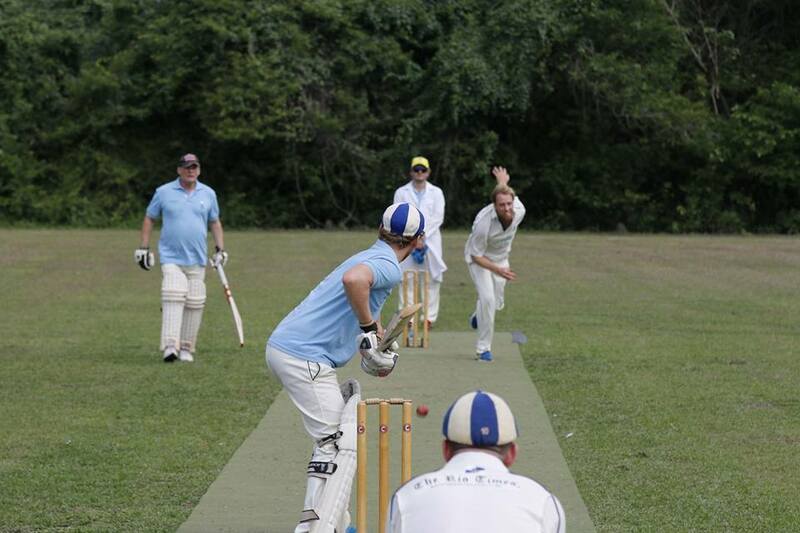 RIO DE JANEIRO, BRAZIL – On Friday, February 8th, the Carioca Cricket Club (CCC) will be kicking off their 2019 campaign with drinks at the Lord Jim Pub, followed by weekend matches against the visiting Victoria Cricket Veterans (VCV) at the São Fernando Polo & Cricket Club on Saturday, February 9th, and Sunday, February 10th. The CCC will be kicking off their 2019 season with drinks at the Lord Jim Pub, followed by weekend matches against the visiting Victoria Cricket Veterans (VCV) at the São Fernando Polo & Cricket Club on Saturday, February 9th, and Sunday, February 10th, photo courtesy of the CCC. Friday’s annual season opening party at the Lord Jim Pub in Ipanema begins at 8:00 PM. It will be a chance for current club players to sign up for the new year, and for new players interested in cricket at any level to come and meet the team, and sign up. The event will also serve as a welcome party for the eighteen players of the VCV, who along with their wives, are visiting the Cidade Maravilhosa from Australia. This is the VCV’s first trip to South America. The club normally does two international tours a year and in the last several years they have been invited to play across the globe, including England, the U.S., India, Japan, Spain, and Iceland, just to name a few. “The VCV are bringing a veteran team (fifty to seventy year olds)…but we expect a bunch of wily old dogs with decades of cricket experience,” exclaimed CC Club Chairman Tobias Hanbury. The CCC’s season opening festivities will continue through the weekend at the CCC’s grounds at the São Fernando Polo & Cricket Club in Itaguaí where the club will host the VCV for a series of matches on Saturday, February 9th, and Sunday, February 10th. There will be two concurrent matches played on Saturday and Sunday, with the action starting at 10:00 AM. Following the exciting CCC and VCV cricket matches, guests in attendance will be able to enjoy churrasco (barbecue), which will be served at R$40 per head, along with a cash bar. The CCC will provide free bus transportation to and from the grounds on both Saturday and Sunday with buses leaving from the Windsor Martinique Hotel in Copacabana at 7:30 AM sharp. Comprised of three Victorian veterans teams – the Over 50s, Over 60s, and Over 70’s, the VCV’s goal is to enable veteran cricketers to play the game they love in a competitive, social, and healthy environment. The CCC was founded in 2011, and has grown each year since. Cricket has existed in Rio since the mid-1800s however, when Emperor Dom Pedro II opened Rio’s first official cricket pitch in 1860 on Rua Paysandu in Laranjeiras. For more information on the CCC and the events, visit the club’s Facebook page.